Subscribe to avoid losing the hottest games! You have not rated any games yet. You have not played any games yet. Fighting Games is a grate category created on 11 August 2017 on 2-Player.com for these kids that are interested to play Fighting Games. In this category you will find 477 free games for kids that are interested to play Fighting Games, but if you can't find a special 2 player game in this category, please feel free to inform us and we will try to add this game for you as fast as we can. We hope that you know that you can rate these Fighting Games any time you want, and in this way this game ategory obtained 435 votes and the average of votes is 94%. Don't forget that you are playing 2 player games on 2-Player.com and try to help us with a share on youre friends. Fighting Games is one of the newest 2 players games category appeared on our site, a category where you will have a lot of challenges. In this new fighting games category you are going to get a lot of type of games for girls and boys. I am sure you will love them especially because you have the chance to play with your friends not just alone. You are going to try all kind of fighting types in this Fighting Games category and I am sure you can find at least one that you like. In the Fighting Games category you can play against the computer in tournaments and single matches or you can play against your friends in a quick match. Do your best to defeat all the opponents in order to be the best fighter all over the world. If you play in a tournament you have to win all the matches step by step in order to become the champion. If you lose a single match, unfortunately you have to start the whole championship from the beginning. IF you defeat the opponents you can move on to the next step of the tournament where you have a better opponent. He is going to be faster and stronger than the previous one so you have to be ready to fight him. Do not underestimate the opponents because this thing can make you lose the fight and you have to restart the game. In this category you can try karate games, boxing games, ufc games, street fighting games and so on many other types. Try them all to find youf favorite type of battle. In the beginning of the games you have the chance to chose your fighter. Be careful at the advantage and disadvantages of the fighter in order to find the perfect one that can help you defeat all the opponents and win the championship. Do not give up if you lose a match. Your should try again and I am sure you can do better. If you want to be ready for the tournament you can play some quick matches against the computer to train a little bit, to become a better fighter, to learn the special moves and so on. I am sure you will have fun in this challenging game appeared on our site. I am sure you will try hard to win the matches but you should be careful. In these games you need agility if you want to defeat your opponents. In some games you will earn some experience for each punch you give and you may use a special move when you have enough experience. This move can damage a lot the enemy. Do your best to take all his life in order to win the match. At the top you have the lives and the timer. Your goal is simple: to defeat the opponent before the time runs out. If the time is over and the fighters are still up the winner is going to be the one which was more life. These fighting games can be played in two. 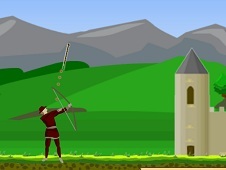 The first player needs the arrows to move around with his fighter and the second one needs w, a, s, d to control the fighter. Each game has a different set of controls for the punching and kicking. You will get the instructions at the beginning of the game or you will get them during the game. Read the carefully and I am sure you can make a great job in these games. You can challenge your freinds to see which is better at fighting. In the street fighting games you can play in all kind of fields. In the boxing games you will fight in a ring. Leave us a comment to tell us which is your favorite type of fighting game here on our site and we are going to bring you more and more. Tell us if you had fun here and give us a g plus if you want to help us promote this 2 players games category. Give us a like if you want to appreciate our work here on this 2 players games site. The battle games category is going to be updated each week so you will find all the time new games for girls and boys. If you love battle games and you want to try them with your friends here is the best place to do that.